“A Manhattan Story “ is Now Available Online! The CD “A Manhattan Story” is now available online. 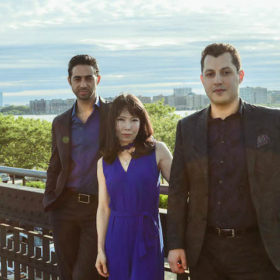 Please CLICK HERE to purchase the CD. *On November and December 2018, this CD is to be featured on inflight entertainment program of JAL, Japanese Airlines on all the international flights. 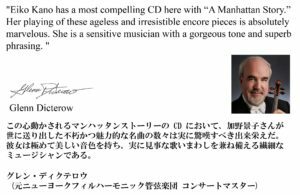 This is the CD of the very unique presentation both produced and performed by Eiko which has been highly acclaimed by well-educated New York City audience. 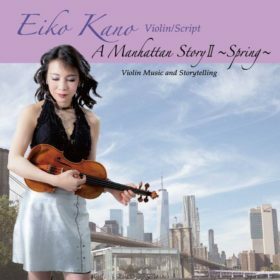 What makes this extraordinary is that performer Eiko herself writes the original script reflecting her very own intimate feelings and imagination of the gems of violin music.Each individual piece integrated into a storyline presents a complete new experience as if you’ve seen a film.